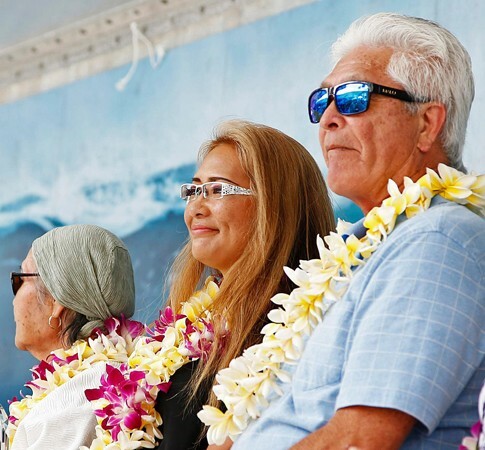 David Nuuhiwa Sr "2015 Honor Roll"
No matter which ocean you’re surfing in, trace waveriding’s roots back to their origin and you’ll end up in Hawaii. It was those legendary, iconic beach boys who set the standard and brought their stylish approach to the rest of the world. 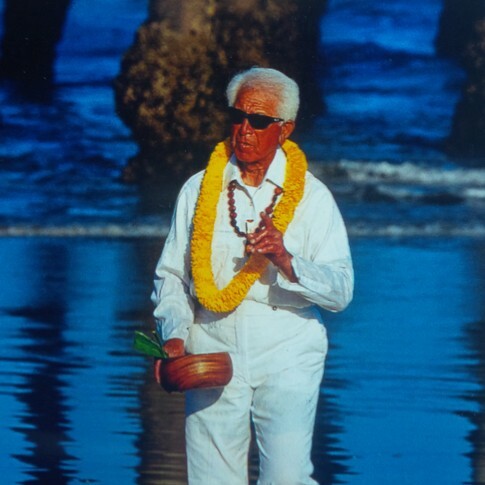 And this year’s Honor Roll inductee, David Nuuhiwa Sr. was at the forefront of bringing surfing and Hawaiian culture to California shorelines back in the 1930s. Even though he never entering the professional surfing ranks, his son David Jr. was excelled in the jersey winning a handful of notable contests. Also a renowned martial artist, David Sr. began working security at the Op Pro in Huntington Beach back in 1982. He eventually asked event director Ian Cairns if he could bless the contest before it began. Sure enough, Nuuhiwa showed up wearing white pants and shirt (a symbol of purity) as well as a necklace of kukui nuts. PHOTO: Members of the Nuuhiwa Family on stage at the 2015 Induction. Photo courtesy of Bobby Zee Images. 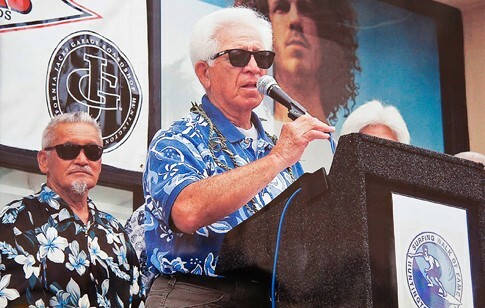 PHOTO: David Nuuhiwa Sr. speaking at the 2001 induction with inductee Rabbit Kekai. Soon the ritual became a tradition and Nuuhiwa would unpack ti leaves and elie (Hawaiian rock salt from the island of Kauai). He mixed the salt with ocean water, held the ti leaves like a wand and blessed the event site and competitors by sprinkling them with the sacred mixture. Sadly, Nuuhiwa Sr. died at 82 after a two-year battle with stomach cancer. A ring of over 70 surfers gave him a traditional sendoff during a memorial paddle out on the Southside of the HB Pier. 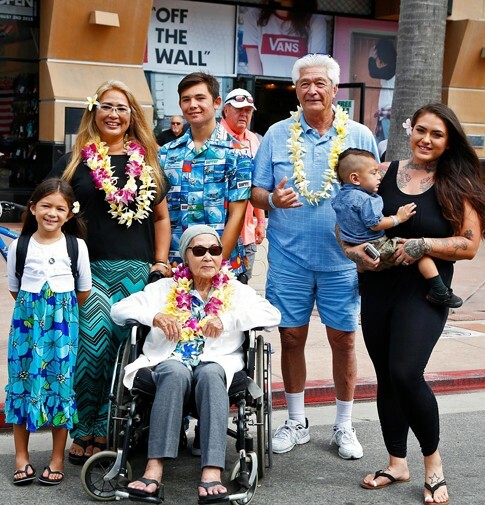 PHOTO: The Nuuhiwa Family at the 2015 Induction. Photo courtesy of Bobby Zee Images.